It’s been coming and I have been waiting patiently for this to happen. And I don’t want to say it out loud too much because it will get me in trouble with the basketball angels in the sky, lol… Just kidding on the basketball angels. Even though we never know when it comes to God. So I want to say this for all the doubters out there. The SUNS are awesome this year… This last game the Suns played the Clippers and they won with a score of 107- 88… OH YEAH…. It was happy dance time considering the Clippers at the time of this post is in the number 1 spot with ( PCT at 647) and 22 wins-12 losses spot and the Suns are in the number 2 with a the pct at 633 with 19 wins and 11 losses. That is like a difference of a game or so. 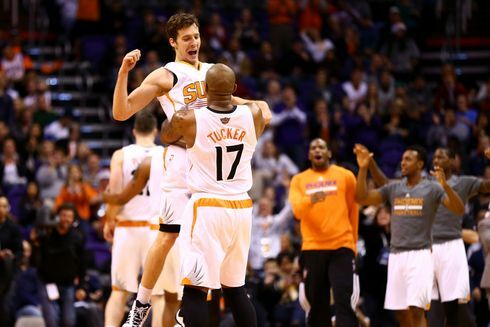 The Suns are playing tonight against Memphis and I hope they win. If they can beat the clippers, they should be able to beat Memphis. So I hope I’m not putting bad energy out there by posting my happiness with my team. It has been such a long time since they have done this good. 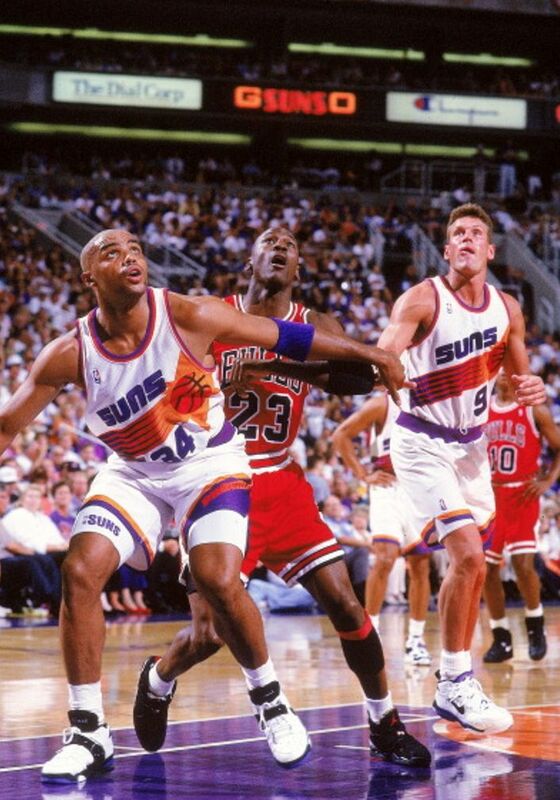 I think it has been since Barkely, KJ, Ainge, Majerle has played. Well, they did good also with Nash when they won the Western Conference in 2005. But there were houses painted Suns colors and most windows had placards in the windows. It was craziness. But fun at the same time. 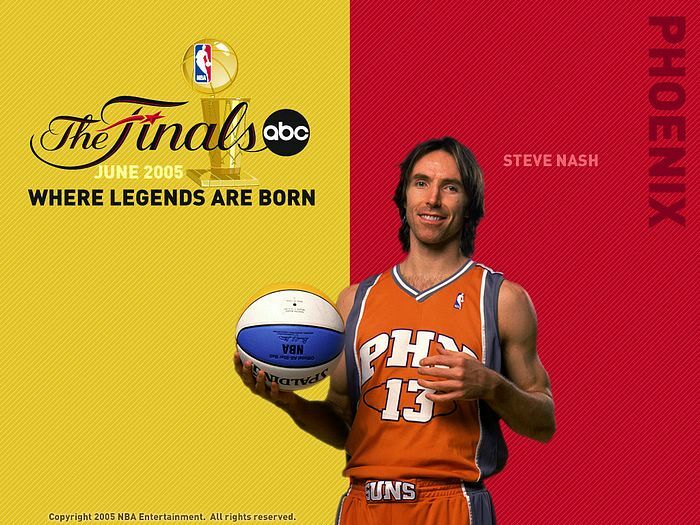 We were already living in Utah when Nash helped get the Suns to the Western Conference in 2005. I was still happy and I was glad the teams that got to the playoffs was the ones that did. It’s nice to see my team doing what it should be doing. They are a bunch of newbies and rookies, but they are doing great so far. So we need to keep it that way guys. 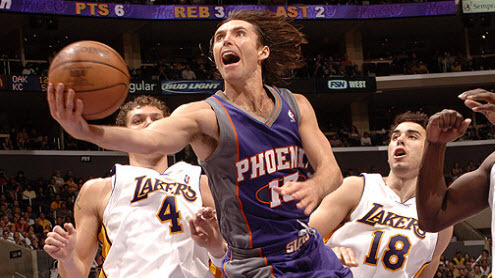 Nash was awesome on the Suns and it still bugs me to no end that he is playing on the Lakers. It was suppose to be his chance at winning a title. And guess where the Lakers are right now? OK! You don’t have to guess, I will tell you! The Lakers have 13 wins and 19 loses. They are next to the bottom for the Western Conference. They have lost 6 in a row now. I’m OK with that. But I do still miss Nash on the Suns team where he belongs. 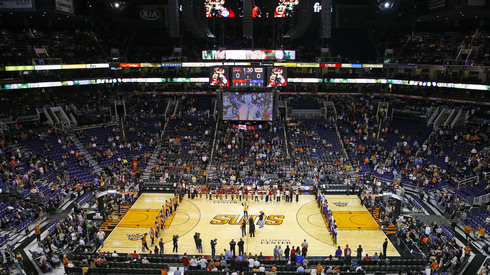 I’m thinking I need to make a trip to Phoenix to watch the Suns play. I have been wanting to do that for the longest time and have never made it. I also wish I could watch the Suns on my TV or computer because they never show them here. I’m pretty bummed over that. I gather the networks only had one televised game of the Suns based on last years and previous seasons game play. ESPN did add a couple of post Christmas games to the roster, but they are slacking in my book.